People in the market for a car have many options. They can buy (or finance) a new car, purchase a pre-owned vehicle at a lower rate, or lease a car for a monthly fee. Many people opt for the latter as leasing a car provides some benefits over financing a car to own. When it comes to IT infrastructures, similar ideas apply. With the advent of cloud computing, businesses can in a sense “lease” all of the server and processing space they need from a cloud provider without the upfront costs of investing in new equipment. Migrating to a cloud infrastructure provides cost savings and business advantages such as budgeting for a monthly fee and having the newest technology on hand. Often people lease a new car every three years or so as it allows them to get the newest models available. Often cars go through major redesigns every few years or so, so leasing allows drivers to always have the latest and greatest cars at their disposal. This same ideology applies to migrating to a cloud infrastructure. Cloud providers continuously update their technology as new items hit the market. Physical servers are a major upfront investment, and are usually obsolete in a year or two’s time. Instead of buying new servers every few years and having to migrate from the old one to the new one each time – cloud providers take care of all of this for you. You get the latest and greatest technology, without all of the hassle! Cars have maintenance costs. The oil gets changed, filters need replacement, and wear and tear often calls for new brakes and tires. As cars get older, they often need more expensive repairs. Leasing a car saves the lessee these additional costs down the road, as they turn the cars in well before major repairs are even required. Cloud computing eliminates the need to pay for in-house maintenance costs that include monitoring, proper HVAC, and electricity. The cloud provider is responsible for all of these costs; you just pay the monthly service fee. Most of the time, lease deals are cheaper than financing a car. Often drivers who lease a car only pay between $100 and $200 per month to lease a vehicle, whereas a financed car can cost somewhere between $200 and $400. 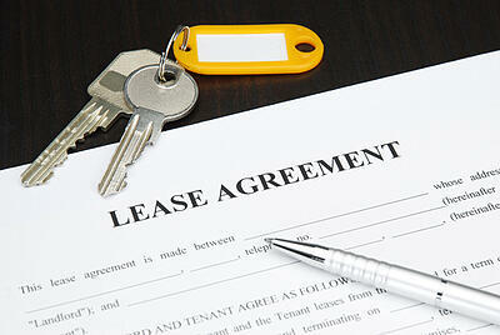 Even though a lease requires money down up front, it allows the lessee to plan for their budget as they are locked into a set rate to pay each month (a rate lower than paying to own the car). Cloud computing helps companies create smarter and more efficient IT budgets. As cloud services are paid monthly, and only for what is used, it optimizes IT spend. Instead of spending large sums of money upfront for hardware and software to only then have to budget for monthly expenses, cloud platforms only charge a monthly service fee – a fee that can be adjusted based on how much capacity and processing is needed.